Normally priced starting at $999, Apple’s iPhone X is one of the most expensive smartphones currently on the market, which means many customers simply can’t afford to buy it. With that in mind, Sprint, America’s fourth largest mobile carrier, today kicked off a promotion that slashes 50% off the price of the iPhone X - in certain conditions. Folks who are willing to lease the iPhone X 64 GB for 18 months with Sprint Flex can get the handset for just $20 per month and $0 down (instead of $41.76 per month). The deal requires a new line, but no trade in is needed. Keep in mind that leasing the phone means you have to return it to Sprint after 18 months, unless you want to pay the difference to cover its full cost. Sprint says this is a limited time deal, but it doesn’t mention when it’ll end. In any case, if you’re OK with leasing the iPhone X 64 GB for $20 per month, you'll find more details on this at Sprint’s website via the source link below. Do the math. $20 x 18 = $360. Why would you pay $360 to rent a phone? Worst off yet, before this deal it was $751.68 to rent the phone. You can sweeten up a s**tty deal all you want, but at the end of the day, it’s still a s**tty deal. Somebody doesn’t know how phone contracts work. The heading of this article is very misleading and clickbaity. "Deal: Apple iPhone X is now 50% off at Sprint" When we read it we think it's up for sale 50% off. Too cliche PA too cliche. You have to tell it if it is a lease clearly in the heading. I think people are waking up to these horrible sales tactics. I have only bought out phones for the last 5-7 years. Mind you, the iPhones (if kept in good condition) have a great resale value. That crap has sailed. 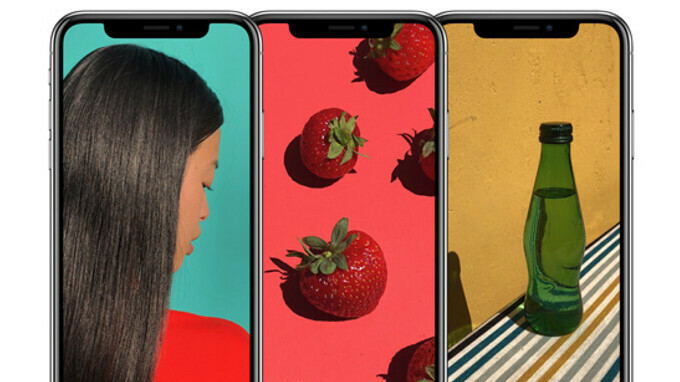 Especially now that it's all but been confirmed that all new iPhones will have much higher resolution and larger displays. So the low resolution iPhone 8 is worth Jack in my books, especially when you can get now low end smartphones with larger and higher resolution displays at a fraction of the price of an iPhone 8. They are starting to put dual cameras on lower end smartphones for around the $200 mark. Anyone with half a brain would see that as well. Anyone with half a brain would know when to stop posting... yet here you are. Its only a deal if you are commited for the 18 months, you can buy outright after the 18 months for $250 remaining balance. $360+250 isnt so bad if youre planning to stick to Sprint. pay $360 to "rent" a phone, then have to return it! Call it a deal? idiot! There terms and conditions are really very strange.